Dr. Christina G. Chi teaches hospitality revenue management/accounting and Ph.D. tourism seminar at the School of Hospitality Business Management. She received her M.S. and Ph.D. degrees from Oklahoma State University, and prior to joining WSU, she was a faculty member at the University of Arkansas at Fayetteville. Her area of research includes tourism marketing, travelers’ behaviors, and hospitality operation management with a primary research focus on tourist satisfaction, destination loyalty, residents’ attitude and well-being, and tourism sustainability issues. Dr. Chi is well-published in top-tier tourism and hospitality journals, and is regularly invited to be a visiting professor and guest lecturer by universities around the world. She serves on the editorial boards for several hospitality and tourism journals and reviews papers regularly for industry publications. 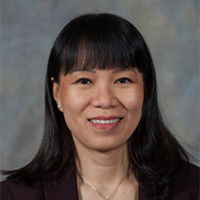 Dr. Chi also serves on the board of Greater Western Chapter of Travel and Tourism Research Association and on several committees of the International Council on Hotel, Restaurant and Institutional Education.